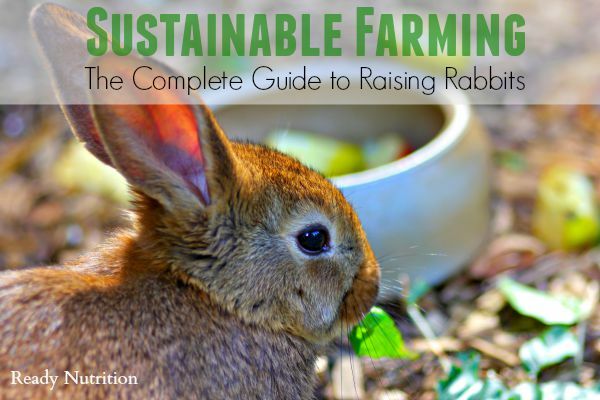 Experienced rabbit breeder, Ruby Burks details how to begin sustainable farming measures by caring for rabbits. 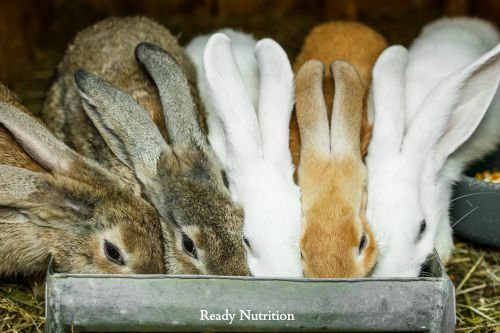 Her primer outlines what breed to choose, housing and feeding rabbits to use as meat sources. 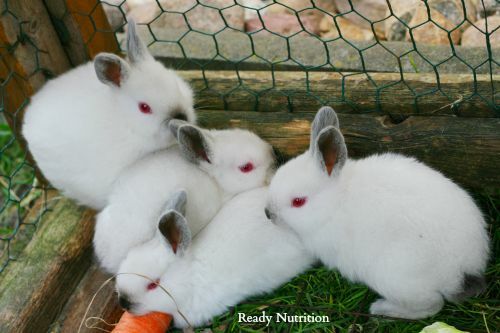 Raising rabbits is one of the easiest ways to become self-sufficient in one’s meat production. Rabbits are relatively easy to care for, reproduce prolifically, and require minimal medical intervention. The by-products they produce can also be beneficial towards gardening, clothing, and as pet food. Rabbits can also be a better option than poultry for those living in urban or suburban areas, especially if you have neighbors that might complain about “farm” animals. Rabbits are virtually silent and their manure has the least noticeable and least offensive odor of all farm raised animals. Their manure can be added directly to potted plants or gardens without aging or composting it and since they’re herbivores, the manure is less likely to draw flies and other pests. There are several factors to take into consideration before acquiring your first breeding trio to insure your greatest success. Among those is the breed of the rabbit itself and your ultimate production goal (do you intend to raise for meat only or are you also interested in pelt or fiber production? ), housing for the rabbits according to your environment and abilities, and feed for the rabbits. Although any breed of rabbit can be eaten, including those cute little pet bunnies, they are not all created equal. Some important considerations are the feed to meat ratio (how much feed is required to produce a pound of meat), the hardiness of the breed for your climate, and whether or not a particular breed is for meat, fiber, or pelts. If you have the means and the space, it’s usually best to acquire breeds specific to their task. If you intend to breed for meat and pelt production, stay away from the smaller pet type breeds. It takes just as long to build the cages or enclosures and to feed a meat production rabbit as it does the smaller ones, which will reduce your overall gains. Think of the time and calories you burn to care for your rabbits as part of their production. This is important to keep in mind as times become lean and resources become scarce. Pet rabbits were bred with color, cuteness, and personality in mind, not meat and fur production. They also have a lower feed to meat ratio and in the end, you’ll get less pounds of meat for the feed your putting into them. The most popular commercial meat breeds are New Zealands and Californians, but they may not be your best choice. Although they excel at commercial meat production, heritage breeds have been bred to tolerate particular climates, are usually more disease resistant, and are hardier overall than commercial rabbit breeds. Many were bred for both meat and fur production, making them a multi-purpose rabbit. Among my favorites within the heritage breeds are the American, American Chinchilla, the Silver Fox, and the Crème d’Argent. All four of these heritage breeds were developed for both meat and fur production. They range between 8-12 pounds, are hardy breeds, docile in nature, produce large litters and are typically good mothers. Fryers make marketable weight fairly quickly and are easily kept on wire bottom hutches. They will also do equally well in colony-type settings. If you intend to breed rabbits for fiber production, Angora rabbits are the way to go. Angora fiber measures in at 11 microns in diameter and is softer than cashmere. The fiber is incredibly warm, blends well with other fibers, and can be spun or felted. Unlike sheep’s wool, Angora fiber requires no special cleaning prior to use and can be spun or felted directly from the animal. Angora rabbits come in basically two types: the kind that blow their coats and the kind that must be clipped or sheared. To harvest the fiber from rabbits that blow their coats, one need only to comb them with a stiff-toothed comb or gently hand-pluck the fiber. The hair follicles release the fiber naturally about every three months and if done properly, harvesting the wool is painless for the rabbit. Since we try to minimize the amount of tools required (and therefore need to be replaced), we breed French Angoras. The French Angora is closest to the original breed from Ankara (Angora) Turkey. They sometimes have small tufts of fur at their ear tips, but other than that, their ears, face, and feet are free of wool. They also come in a variety of colors and have a higher ratio of guard hairs that protect the soft underwool. The higher numbers of guard hairs make the wool slightly coarser than the other Angora, but it also makes them easier to groom and less susceptible to matting. Angora rabbits require considerably more time to care for them than do meat rabbits. They need to be groomed regularly (about once a week), their cages need to be kept very clean to prevent matting, skin diseases, and staining of the wool, and they must be fed a high fiber diet to help prevent wool block. Wool block is when a rabbit has consumed its own fiber, usually during grooming, and the fiber has caused a blockage in its digestive tract. Rabbits can be raised in either cages or colony-style settings. There are pros and cons to each, but three are basic needs all rabbits have regardless of the setting you choose. Rabbits must be protected from direct sunlight, excessive heat, getting wet, drafts, and protection from predators. Their housing needs to be cleaned and maintained to insure proper rabbit hygiene and to reduce disease and parasites. Does (female rabbits) will need nesting boxes/areas when kindling (giving birth). Rabbits do very well in cold temperatures, but heat will kill them. If you choose to keep your rabbits in cages, the wire needs to be sturdy enough to prevent them from chewing through it and the gaps between the wires need to be small enough so kits (baby rabbits) can’t fall or jump out of the cage. Rabbits can chew through chicken wire. The floor of the cage needs to be sturdy enough to support the weight of the rabbit, the nest box, and all the unweaned kits without sagging. It’s also important to provide something flat for them to rest on to give their feet a break from being on wire all the time. A small square of plywood, about the size of the rabbit at rest, works well. For the meat and fiber rabbits mentioned above, cages should be approximately 36″ wide, 30″ deep and 18″ high (minimum of 30″x30″x18″) for the does and 30″ wide, 30″ deep and 18″ high (minimum of 24″x30″x18″) for the bucks. If one is concerned about humane animal husbandry and wants to allow the rabbit a full range of motion, including being able to stand at full height, the cages can be made taller. If one intends to grow out your kits to butcher weight in the same cage as the doe, one can also make the cage wider. Don’t make the cage deeper though, because it becomes very difficult to reach the back of the cage to catch the rabbits. If you have the space, colony-style housing is another option. The rabbits all live together in a natural setting, with or without a buck. There are many building plans to choose from for this option and can be tailored to fit each person’s space and needs. Proponents of this style of housing like that the rabbits are raised in a more natural setting and the convenience of being able to select a rabbit from within the colony to butcher as they need meat; however, there are some drawbacks. If bucks are housed in the colony with the does, the does can be overbred and never get a rest between litters. Does have also been known to kill other litters, can be very territorial, and there is some research to show overall production decreases. Unlike mice and rats, does do not share mothering between litters. Each doe typically cares for her litter only and will sometimes kill off other litters. Over time, it’s also possible that an alpha doe will emerge, thus reducing the fertility of the other does or the viability of their offspring. If the buck is housed with the does, it also becomes more difficult to determine lineage and reduce inbreeding. Rabbits raised on the ground are also more susceptible to parasites and disease. Special note: Angora rabbits should not be raised in colony settings. Selective breeding has produced an Angora rabbit with fiber much longer than its wild, Turkish cousins. These rabbits are no longer able to live in a natural setting without tremendous amounts of care. The most convenient method of feeding is a commercially produced pelleted rabbit feed. The breeds listed above need about 4-6 ounces of pellets a day. One should feed in the evening since rabbits are most active at night, but anytime of day is fine as long as it’s consistent. Pelleted feed contains all the nutrients, fiber, and salt a rabbit needs and salt spools and hay are unnecessary (except in the case of Angoras because of the wool block mentioned above). Lactating does and growing kits need more feed. Once kits start leaving the nest box, free choice feed should be offered to keep up with their rapid growth demands. Another option for feed is to grow your own sprouted fodder. Sprouted fodder is an excellent food choice, but does require the right temperature (not too hot, not too cold) and access to a supply of seeds. There are a wide range of plants that rabbits can eat, even sprouted, but the most popular sprouted fodder is barley seeds. It is critically important when feeding fodder that it be free of mold and other contaminants. Regardless of your food choice, both meat and fiber rabbits require a 16-18% protein to insure proper growth and wool production. One can also do a combination of pellets and fodder, or even garden trimmings as long as the diet remains consistent. Rabbits are extremely susceptible to gastroenteritis, so it’s very important that any changes to their diet are made gradually. Introduce new foods in very small amounts over several days until their gut is able to adjust. By careful planning and selection, one can easily add a healthy meat source to any living situation. Next, we’ll discuss breeding your newly acquired stock. Stay tuned!